I hate to reveal it, but in the past month, my site was down for more than 7 hours. You may have financial issues, but the Internet is right there. It won’t go anywhere, and you would be able to launch your dream blog tomorrow or the day after one – it doesn’t matter. The mistake was made, and I had to suffer the downtime and potential loss of revenue. Soonest, I migrated my site to InterServer web hosting. 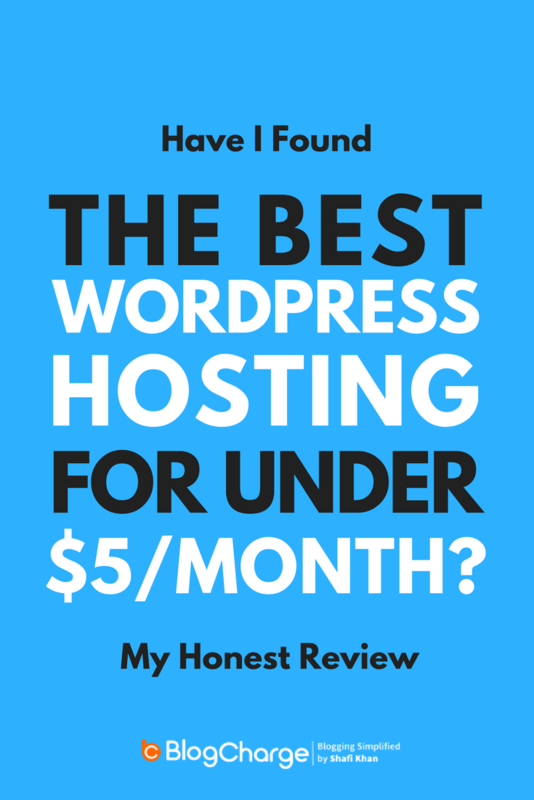 It’s not the most expensive web host who could handle hundreds of thousands of daily visitors, but yes, it is one of the most affordable shared web hosts under $5/month, I have ever used. After using it for around one year, I’m writing this InterServer review post. I’ll be talking about both the goods and the bads and few more interesting things + there is an exclusive coupon for you. Let’s start with a little introduction. InterServer was started back in 1999 by two tech-savvy college students named Mike Lavrik & John Quaglieri. It has been in business ever since and has an incredible 18 years of experience in the web hosting field. Despite being in the business for so long, there are good chances that most of you may not have heard of it – till now. The reason could be the fact that they were not advertising as much as the industry leaders like BlueHost and HostGator. Also, they’re more focused on providing business hosting. InterServer hosting is all about Quality. It may not have an easy to navigate website, but I’m sure you’ll love the dedication of support team, the speed of the servers, and more. There are tons of reasons why I would recommend InterServer over any other similar priced web hosting service (including BlueHost and HostGator) but these are few noteworthy ones. The biggest perk of InterServer is its price point. It has to be the fastest shared host under $5/month category with this much features. The only Shared Web Hosting plan is priced at $5/month, and you can get an extra 10% discount if paid annually. Managed WordPress hosting account cost $8/month with same annual discount. It lets you host only one WordPress website. VPS & Cloud web hosting also starts at an affordable price of $6/month. Unlike the rest of the reputable web hosting providers (including BlueHost and SiteGround), InterServer offers a fixed pricing model. Meaning, no matter what term you buy your hosting, you’ll pay the same amount. Also, the renewal is capped at the fixed price. No more paying triple the registration amount. Note: With BlueHost, if you’re buying for 12 months, you’ll need to pay $5.95/month as opposed to the advertised price of $3.95/month which is only applicable to 36-Month term. Another perk is that there no long-term contract necessary to avail the low price. You can pay for just one month and go from there. It’s a great option for those who want to start a blog but don’t have much budget. In this scenario, you can pay for the first month, get started, and pay as you start making money. The majority of web hosting services offer a free domain name with the annual package, and it’s a nice bonus for new bloggers. InterServer, on the other hand, doesn’t offer any free domain. However, you can grab any domain for just $1.99 at a discounted price. The discount applies to all TLDs. Many of the bloggers (including me) like to keep the domain separate from the web hosting, and it may not matter much not getting a free domain name. While it’s not an excellent idea to host more than five sites on the same account, it’s good to have this feature at least around. With InterServer, you can host an unlimited number of websites without having to worry about exhausting resources. Also, InterServer claims never to overload the servers (which is the most common practice among shared hosting provider.) Servers are loaded up to 50% only, which gives your site enough resources to expand. HTTPS is the new trend in SEO, and why should you left behind. On the side note, SSL is a major ranking factor now as confirmed by Google. InterServer provides unlimited SSL certificates for all your hosted domains for free. You need to contact the support team, and they’ll activate Auto-SSL on your server. After which each domain you host on the server can be accessed as https. You also, don’t need to install any plugin or do any manual coding work. If you started your blog on a cheap web host, then you’ll need to migrate your WordPress site to the new host. Some of the web hosting services like iPage, charges a hefty amount to migrate your site onto their servers. Other hosts like HostGator will migrate only one website for free and charge a hefty price after that. Some of the web hosting services like iPage, charges a hefty amount to migrate your site onto their servers. Other hosts like HostGator will migrate only one website for free and charge a hefty price after that. But that’s not the case with InterServer. The support team will migrate your existing site without losing any link juice for any number of times. The migration process takes a few minutes, and it won’t affect your SEO & Rankings. As discussed in this post, backup of your site is your only hope in case of some unforeseen conditions. Your website may get hacked, or there could be some issue with your web hosting service. However, you don’t have to worry about those issue with InterServer. All your website data will be backed up on their server weekly for free. If you’re not very much impressed with the above features, InterServer has few awesome perks to offer. You get free $100 Google AdWords Credits and an exclusive 20% Off Template Monster Discount with every valid purchase. Impressed with the features and making your move to buy hosting from InterServer? Hang on there. No host is perfect and there lie some missing parts. The same goes for InterServer.Here are some important features that can be improved. It is a standard freebie we all expect. Other hosts like BlueHost, SiteGround, and almost everyone offer a free domain. While the discounted price is satisfactory, some of you might love to get a free domain name. It would be nice to see if InterServer starts offering a free domain with bi-annually or annual plans. When you visit the InterServer homepage, you’ll feel like you were using the internet in 2005. The website is simple, block-structured, and they do not have an appealing logo. It obviously caters to business owners, and they would prefer a professionally designed web host. 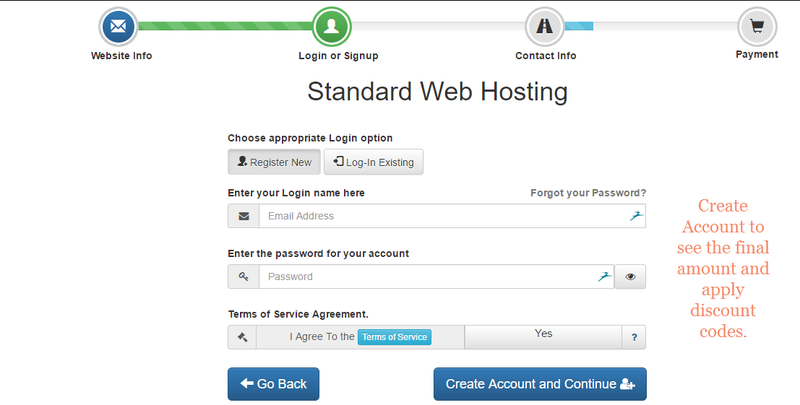 However, I would love to see a more responsive, colorful, and feature-rich website, like BlueHost. Also, the checkout process is quite irritating. You can’t apply the discount and check the final price if you don’t sign up for an account. It is irritating especially when you just want to see if particular coupon code work or not. It is the biggest downside of InterServer. They offer a subtle set of hosting plans, and you’ve to choose from it only. For instance, there’s only one shared hosting account (priced at $5/month), and even if you want to host only one domain, you’ve to pay the same. It would be great to have some more plans with little or higher price packages offering different features. One website only plan can start at $3/month while the $7/month plan could have more attractive features. Here are the exact steps you need to follow if you’ve made your mind and are ready to buy InterServer web hosting. Tip: Choose managed WordPress hosting if you want a WordPress only professional hosting plan to host only one domain. As discussed earlier, you can either grab a domain name for the discounted price of $1.99 or host your existing domain name. Optionally you can also transfer your existing domain name for $1.99 to InterServer. Note: Domain name doesn’t come with Whois Privacy Guard. If you haven’t thought of a brandable domain name yet, read this post to quickly find a catchy brandable business name for free. Next, it will ask you to create a new account, or you can log in to your existing account (if any). You can also sign up using Google+ or Facebook. Note: The special discount code is valid for both new and existing users. On the next page, choose the web hosting package you would like to buy. I am choosing the annual plan. As you can see, I have received an extra 10% OFF, and the total bill is $54. You can complete your payment by either Credit Card or PayPal. 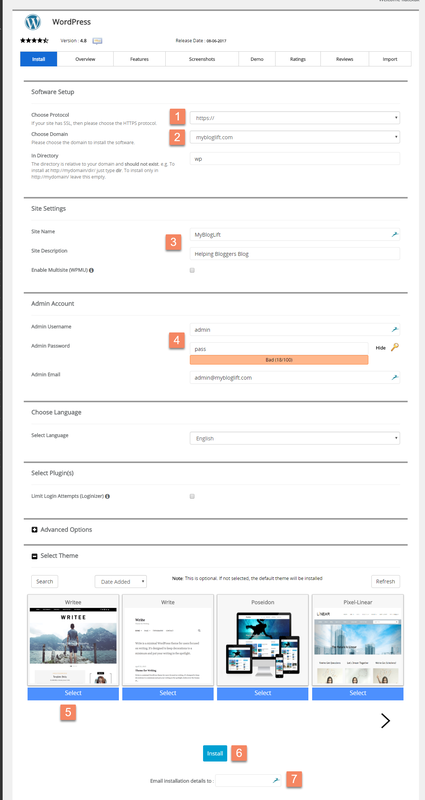 Once paid, you’ll receive access to your InterServer dashboard. It is just a matter of clicks to install WordPress on InterServer. Similar to other web hosts. InterServer also uses Softaculous – one click WordPress installer. 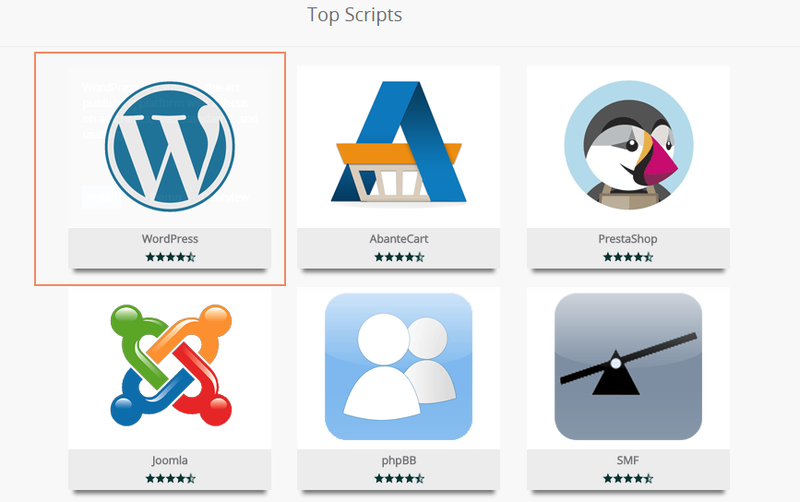 You’ll find WordPress under ‘Top Scripts.’ Click on the WordPress icon. Next, you’ll see the information about your WordPress install. Click on ‘Install Now’ Button. Choose the protocol for your website. Select HTTPS if you want your site to have that green padded lock icon. Www or non-www? Choose it here. I prefer my domain with www. Username and password that’ll be used to login to WordPress Dashboard. Do not use the default ones. Choose a free theme. You can always upload another premium theme. If not chosen, your blog will have a default ‘twenty seventeen’ theme. Hit ‘Install’ button when you’re ready. Enter an email address, and the login details will be emailed to that address. Useful if you keep forgetting passwords. 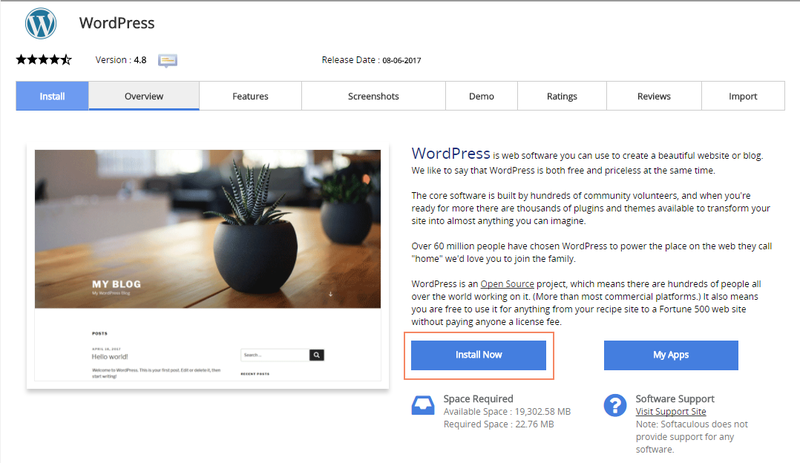 After clicking the install button, you’ll see a progress bar showing the installation of WordPress. Although InterServer provides tons of useful features under a pocket-friendly price, there are some complaints making round on the internet. I may not have faced all these issues but we can’t ignore these InterServer complaints altogether. Here are few complaints about InterServer which are true up to an extent. As stated, the user interface of InterServer is non-intuitive and also their documentation is very old. The guides and steps mentioned there are for older WordPress versions and doesn’t clearly help today. You need to have some experience with WordPress to actually follow the steps. You can ask the customer support for latest instructions but that’s not a viable option always. I don’t specifically know if it is a good or bad thing. I personally do not find it of much help. When you create a ticket, more than one executive will reply to your problem, often with different views. If you talked about a certain issue with someone last night, there will be another person answering your queries next morning. At times I have talked with around 5-6 people for a simple issue which could have been properly explained by a single guy. I would love if my ticket gets assigned to a specific person and only he supports me to solve the issue. Only in the case if he doesn’t know the solution, other customer executives can intervene. This is another popular InterServer complaints that I have faced myself. Sometimes you get locked out of CPanel and not able to log in while others your FTP starts to get blocked by the firewall. The good thing is that it is a small issue and can be fixed instantly by contacting support using live chat. Additionally, if you make bi-annual or annual payment, you get an extra 5% and 10% discount respectively. To top it up, you can also buy a domain name for just $1.99 with your hosting. Starting a blog with a proper web host is important if you don’t want to deal with downtime and technical difficulties. Instead, you can devote that amount of time to growing your online presence. Even if you are into blogging for years, you do need a reliable web host who can handle your sudden traffic increase and doesn’t result in a server crash. 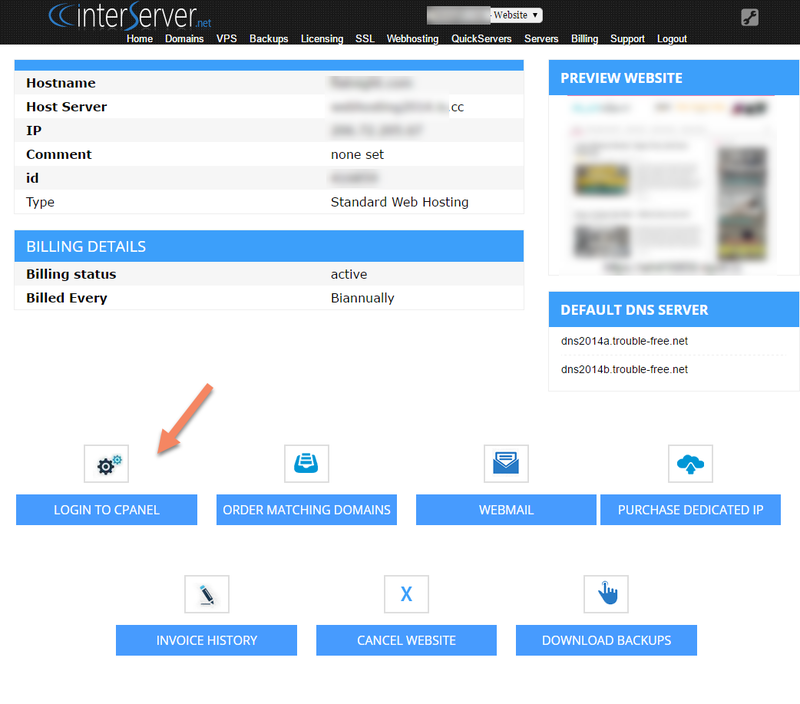 Interserver is probably the best host you can get without having to create a hole in your pocket. Plus, they offer industry-best features with premium 24/7 support. If you can afford at least $5 to invest and want to start with a professional web host, then I highly recommend you to go with InterServer. Remember, you can start a blog for as little as $2 for the first month (including domain name) which makes it a great deal. Been a previous customer to InterServer? Do share your InterServer review and experiences with us. Second Update: We migrated to CloudWays in January 2018. I still use InterServer to host my other website and there are no complaints. However, I wanted to switch to a cloud host for better speed and control. If you’re looking for a shared host, I still recommend InterServer over other web hosting providers like BlueHost. Update: It’s been over a year, and BlogCharge is still hosted with InterServer. The average monthly uptime has been near 99.99% and the customer support always amazes me. If the traffic increases exponentially, I might switch to cloud hosting, but for now, InterServer is doing a great job. Switching to InterServer from a cheap shared web hosting was one of the best decision in my blogging journey. Not many people know about their awesome service, but I would recommend InterServer over other low-quality shared web hosting services. You get to host unlimited domains, CPanel, free SSL, 24×7 customer support – best in the market, and the pricing is fixed – you will pay the same price always (no increase after the first year) + get discount on annual or semi-annual packages. If you’re new to blogging and want to up your game, I recommend switching to InterServer. Our website : https://leadsblue.com/ was been hosting it here from many months with out been facing any issues. and their support was been handy at every time, and the prices were very affordable. so we will highly recommend the interserver for the small scale an growing business. Thanks for your honest review, Luther. Yes, I’d agree that InterServer is a great web host for small scale growing businesses and at just $5/month, the features provided are excellent. Nice review. We are using AWS, there are few cheaper options but AWS never let us down and it has 99% uptime. Thank you for the awesome post. Will definitely take a look into the Interserver hosting services. Interserver is indeed a good and reliable web hosting provider. Their pricing is also good compare to other web hosting providers. Buying a reliable web hosting is definitely important to build a successful blog. Thanks for sharing this detailed review. I use Intersever and Kinsta for my client blogs and their websites are loading faster than before. Come again; “never start your blog with a cheap web host.” I really like thus quote of yours. I have suffered tremendously for going with cheap with web hosting and even to the extent of me loosing my domain since they wouldn’t let me transfer it to anywhere. It’s really frustrating at times. I’m currently using WPX Hosting for few of my Blogs but nearly will test-drive InterServer as Well. By the way, Your review is really Charming! I have heard a lot about WPX hosting and how awesome is it, so I don’t think InterServer with it’s shared hosting will be able to compete with it. If you’re planning to host a niche blog, then InterServer is a great choice. I recently posted a guide on how to start a blog for just $12 which might interest you. Sir i purchased digital ocean server for 10$ per month , should i migrate to interserver? If you aren’t comfortable with technical part of managing DO server, I would recommend switching to InterServer. Loved reading your article Good work. That would have been a challenging situation, Samira. Thanks for sharing your experience, hope my readers will take some notes from it. thanks for sharing keep up good work.